6 YRS Taizhou Flourish Leisure Co., Ltd.
it can be quickly erected by two people without any tools. 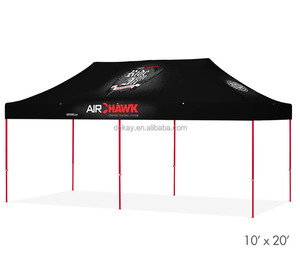 this portable canopy comes with a super wheeled bag with two 4.7" wheels which can handle well even on rough ground. 3 sizes customized and colors as available for your choice,set up in minutes. 10 YRS Zhejiang Yining Industry Co., Ltd.
,Ltd is a top manufacturer and exporter who has more than 7 years experience,. &Oslash; Most of the raw materials of our products have been tested strictly according to SGS . Ltd wishes to bring consumers a higher level of comfortable and impressive rattan furniture experiences through its continuous improvement in designs. 2. 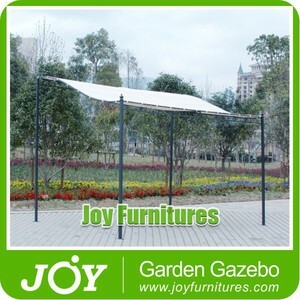 Our product range covers outdoor umbrella, gazebo tent, rattan/cast aluminum/wooden furniture, swing chair, beach lounger and so on. 4. 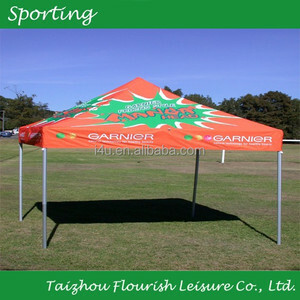 We are the designated supplier for advertising umbrellas in the 2008 Beijing Olympic Games. 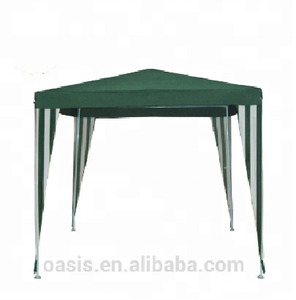 Q: What's our main product9 A: Outdoor umbrella, gazebo tent, rattan/wooden/cast aluminum furniture, swing chair, beach lounge. 9 YRS Changzhou Expo Tent Co., Ltd.
Q3:It is the louvre roof /pergola rain proof9 A3:Yes,the normal weather cnditions,even heavily rain,the roof /pergola will not let in rain. Q5:Are louvres roof/pergola energy efficient9 A5:The adjustable louvres blade help to reduce heating and controlling the amountof direct sunlight. Q6:Can the louvres roof/pergola used next to the sea9 A6:All accessories in aluminium alloy,stainless steel and brass to avoid any rust and corrosion. 5 YRS Wuyi Hotter Outdoor Products Co., Ltd.
1 YRS Shenyang Eastern Front International Trade Co., Ltd.
All our clients, from home or abroad, are warmly welcome to visit our factory at any time. What is your time of making samples9 Usually we will take 3-5 days to make the samples. Quality Control Department specially responsible for quality checking in each process. 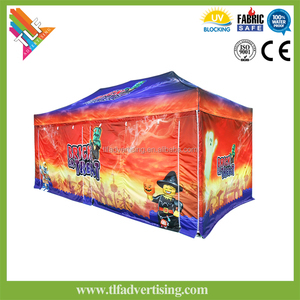 6 YRS Zhejiang Pioneer Leisure Products Co., Ltd.
9 YRS Jiangsu Lingtong Exhibition Tent Co., Ltd.
2, The fabric is double PVC-coated polyester textile. 3)The frame is strong,durable,light in weight,not easy to rust and distort. Cover Material: 1)Double PVC-coated polyester textile. All joints are hand Argonwelded with full circumference welding and hand welding to ensure long lasting strength. All joints are argon arc welding with full circumference welding to ensure long lasting strength. All joints are carbon dioxide welding with full circumference welding to ensure long lasting strength. 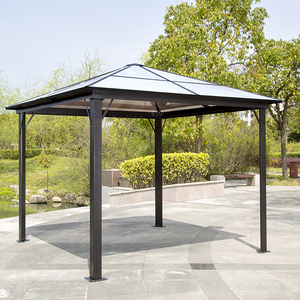 10 YRS Dongtai City Winsom Outdoor Product Co., Ltd.
2 YRS Qingdao Jiangzhe Industries Co., Ltd.
Alibaba.com offers 4,943 water gazebo products. About 46% of these are trade show tent, 24% are gazebos, and 3% are tents. 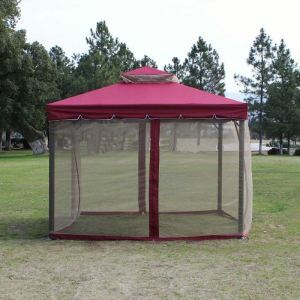 A wide variety of water gazebo options are available to you, such as gazebos, arches, arbours, pergolas & bridge. You can also choose from aluminum, iron, and steel. As well as from not coated, pvc coated, and pa coated. And whether water gazebo is oxford, acrylic, or pe. 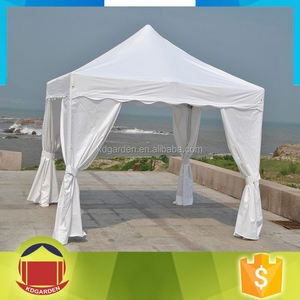 There are 4,943 water gazebo suppliers, mainly located in Asia. The top supplying country is China (Mainland), which supply 100% of water gazebo respectively. 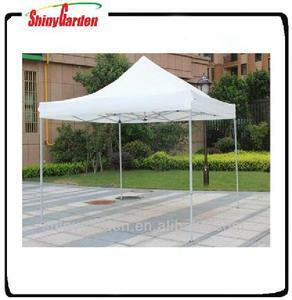 Water gazebo products are most popular in North America, Western Europe, and Mid East. You can ensure product safety by selecting from certified suppliers, including 670 with ISO9001, 463 with BSCI, and 410 with Other certification.